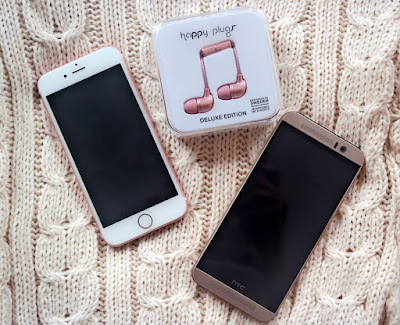 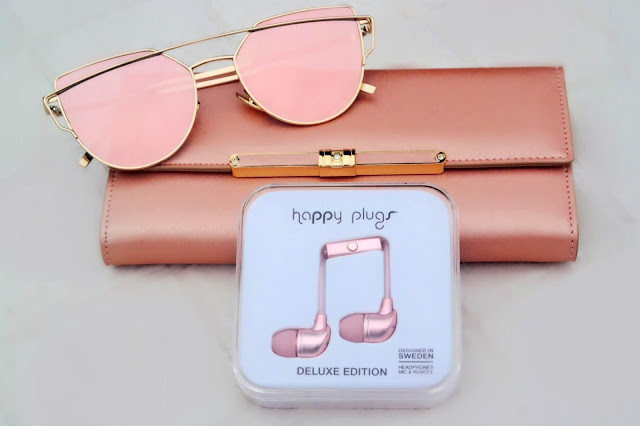 Last month I purchased some pink gold earbuds, because my trusty HTC year old ones decided to die on me, and I needed to find a replacement asap.The most I would ever spend on earphones/headphones would be £15.While I was having a little search around online, I came across the brand Happy Plugs.This was the first time I'd ever came across there products, and was instantly impressed with what they had to offer.I done my usual "background" check, making sure that they were 100% legit and the prices they charged was reasonable.There was no negative review in sight which convinced me even more to give these a try. 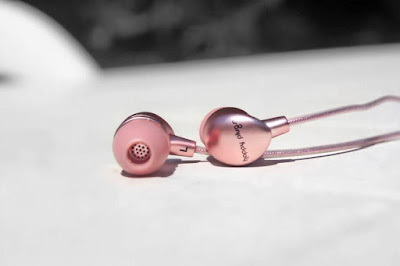 I ended up spending the extra £15 for the In Ear design, because I preferred this instead of the normal style earphones.Happy Plugs have a wide range of colours for everybody, so you can colour co-ordinate if you want to.The company is based in Sweden and only took 4days to arrive here in the UK with tracking, so I was pretty impressed when it arrived pretty quickly.It came in two sturdy boxes, so was pretty secure from any damage.Happy Plugs have clearly taken a lot of attention to the packaging, as it comes in a little 3D squared box, with the earphones wrapped up neatly together.It also includes extra silicone tips which is a bonus. These have to be the most comfiest earphones that I've ever owned and I've been through a lot!I didn't need to use the other ear tips that came included, as the default tips fitted my ears fine.The logo Happy Plugs is printed on the back in black bold letters, with the rest of the design in pink gold, including the microphone.The rose pink is pretty vibrant, not coming off at all with the scratch test and being in the rain as well.The wire is protected by a case lining, which prevents any damage and also it doesn't tangle up either.These can be used with 3.5mm compatible devices, which the majority of products have this.I've recently been using them with my Xbox One as a speakable headset, and have had some issues with the mic making my voice sound muffled, but its a great alternative to the bulky headset when watching movies.When using it to communicate on the phone, it cancels out any background noise and the sound is crystal clear.You also have a button that can be used to play/pause music and to answer/end the call, which is a fairly useful tool.